Exploring Culture brings Geert Hofstede\'s five dimensions of national culture to life. Suitable for students, trainers, coaches and educators, it can be used for individual study or as a set text, and serves as an excellent partner to Geert Hofstede\'s popular Cultures and Organizations. Exploring Culture brings Geert Hofstede\'s five dimensions of national culture to life. Gert Jan Hofstede and his co-authors Paul Pedersen and Geert Hofstede introduce synthetic cultures, the ten "pure" cultural types derived from the extremes of the five dimensions. The result is a playful book of practice that is firmly rooted in theory. Part light, part serious, but always thought-provoking, this unique book approaches training through the three-part process of building awareness, knowledge, and skills. It leads the reader through the first two components with more than 75 activities, dialogues, stories, and incidents. The Synthetic Culture Laboratory and two full simulations fulfill the skill-building component. 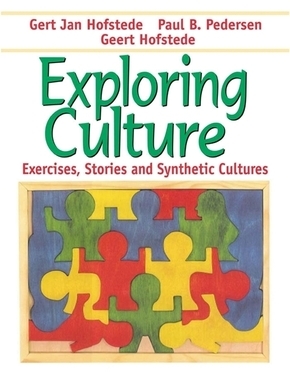 Exploring Culture is suitable for students, trainers, coaches and educators. It can be used for individual study or as a text, and it serves as an excellent partner to Geert Hofstede\'s popular Cultures and Organizations.